Former Vice President, Atiku Abubakar has opened up on the main reasons why he left the ruling Al Progressive Congress, APC. Few weeks ago, Atiku had resigned from the ruling party in what he perceived as a derailing party and alleged cover up by the administration. 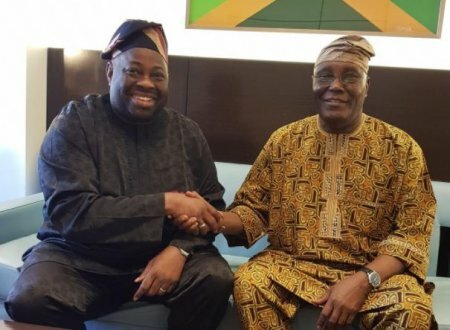 The Ovation chief, Dele Momodu in his weekly article, PENDULUM, titled: “One On One Session With Atiku Abubakar”, challenged the former vice President on why he did not wait to contest the primaries in APC first and see the outcome before running away. But Atiku in a defeatist response said: “After Buhari won the election, he was no longer interested in the Party that made him President. “Every activity stopped and not even the Party Chairman, Chief John Oyegun, could take any decision. I called Chief Oyegun a few times to tell him our Party was dying slowly but he told me he would not do anything unless he got clearance from the President. “At a stage, I gathered about 18 prominent members and began to meet in the hope that we can re-energise Party activities, but some people lied to the President that I wanted to use the forum to launch my Presidential campaign. “That forum became simply dead on arrival. No BOT, no NEC meetings, as stipulated in our Constitution”. Atiku said the party became a one-man property and everyone grumbles behind the President's back. “The Party became a one-man property.